Please do not wait till the end of December to have your annual eye examinations. I have talked to so many people lately that haven’t had their eyes checked for 2 or more years, The last person I spoke to had not had an eye examination for 5 years… The problem with not getting your eyes examined annually is that so many eye conditions can arise that you are not aware of. Many eye conditions don’t have symptoms or side effects that would lead you to believe something is wrong. Some people take their eyesight for granted, but eye health needs to be regarded as the same level of importance as your dental health or physical overall health. That’s why annual comprehensive eye examinations are vitally important in the prevention and early detection of various eye conditions. 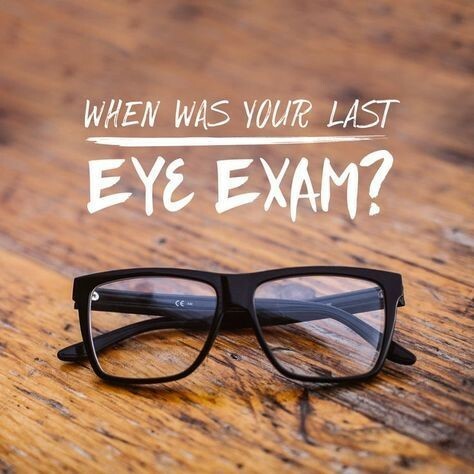 So if you have not had your eye examinations and special testing done, right now is the perfect time to do it. Get in and get this taken care of before the end of the year. Do not wait till the last minute especially if your deductibles are met or if your insurance is going to change. We look forward to seeing you in the clinic soon! You are in good hands with Dr Steve! He has been doing this for the last 25 years. He started his career at Park Nicollet and has owned his own private practice for the last 8 years. We have 5 out of 5 star rating on Google. You wont regret your decision to come to our clinic. Click here to make an appointment at our eye clinic to have your eyes checked!